Superior King, 1 king-size bed. With a pool or garden view.
. يعمل Beach Terraces Hotel على ضمان إقامة مريحة لضيوفه من خلال خدماته الممتازة وحسن ضيافته. إن فاكس, آلة تصوير, مرافق مخصصة لذوي الاحتياجات الخاصة, تسجيل وصول/خروج سريع, تخزين الأمتعة هي جزء فقط من الخدمات التي تميز Beach Terraces Hotel عن باقي الفنادق في المدينة. استمتع بوسائل الراحة الراقية في الغرف أثناء إقامتك هنا. بعض الغرف تتضمن تلفزيون بشاشة مسطحة, اتصال لاسلكي بالإنترنت, حوض الاسترخاء, مكيف هواء, خدمة الإيقاظ لمساعدتك على استعادة طاقتك بعد يوم طويل. سواء كنت من محبي الرياضة أو كنت تتطلع لتفريغ عناء نهار صعب، ستجد خدمات ذات مستوى عالي بانتظارك كمثل حوض استحمام ساخن, مسار جولف - ضمن 3 كم, حمام سباحة خارجي, سبا, مسبح (للأطفال). مهما كانت أسبابك لزيارة بورت دوجلاس، فإن Beach Terraces Hotel هو الخيار الأفضل لإقامة مثيرة وممتعة. We had a 2 bed apartment. Though an older style it was large, functional and the place was scrupulously clean. Everything worked the way it should. We would be happy to stay here again. 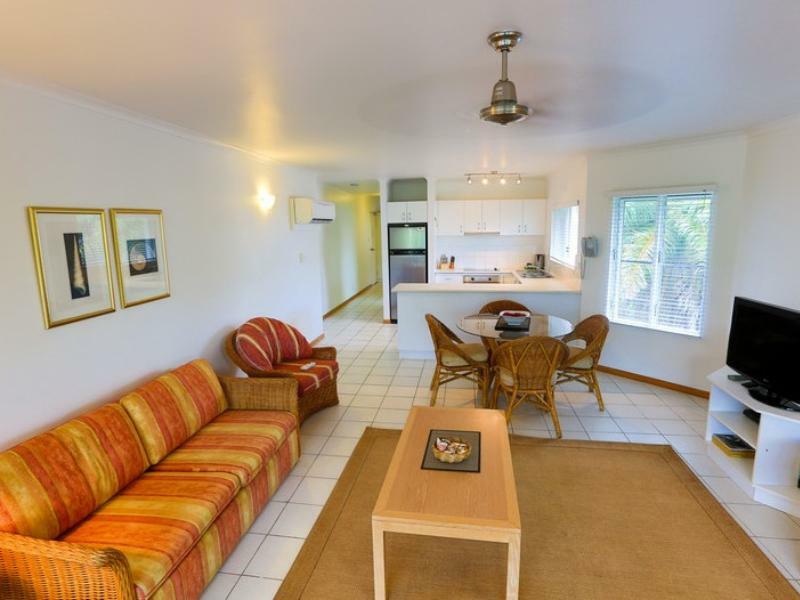 Great location just a short stroll to the beach and the local Surf Life Saving Club. Close enough to town to walk and far away to escape the traffic noise. The 2 pools were in great condition for a morning or afternoon dip. Good value for money. We enjoyed our stay at the Beach Terraces, the location was great and the apartments were nice however the bathroom needed a good scrub. Nothing fancy but adequate. Children's pool is perfect for 3yrs and under as is only about 30cm deep. Very close to beach and shops. Lovely and clean and perfect environment where you are not constantly worried about kids making a mess and ruining furniture etc as it is all easy to clean. 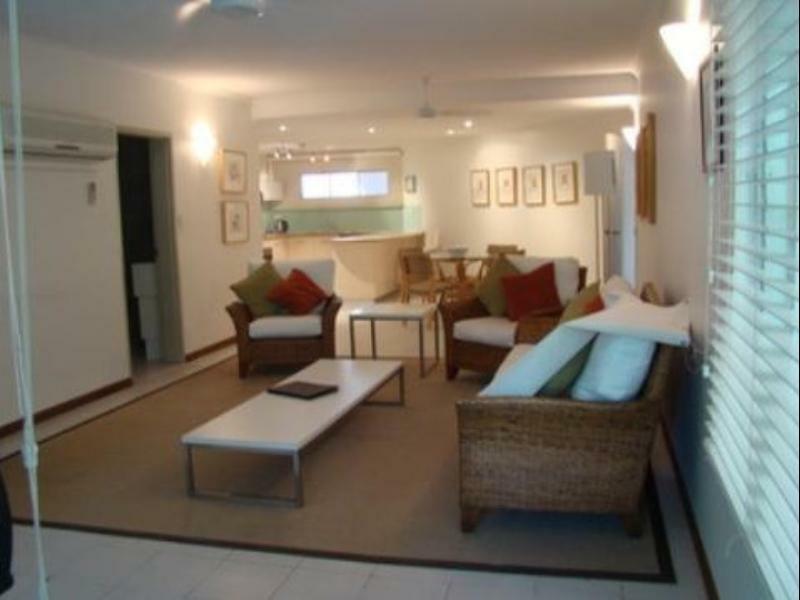 Apartments are perfect for us, kids like the pools and the proximity to Macrossan street and the beach is excellent. 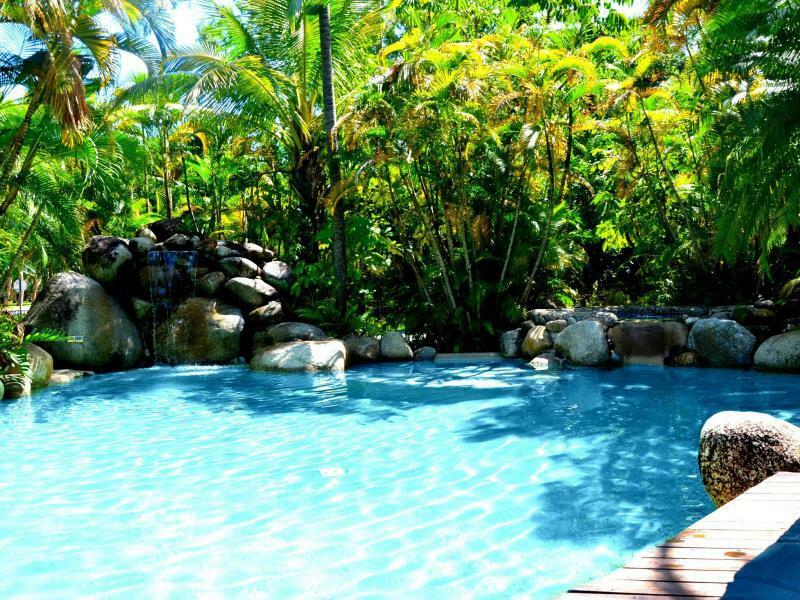 If ever in Port Douglas we will always choose to stay here as it meets our needs! Great location and pools. Close to shops and beach. Air con in each bedroom.One of the showers was leaking out onto the bathroom floor but otherwise great place for family. We stayed here with our 2 kids (13yo Boy and 11 yo Girl). The 2 bedroom apartment was lovely and spacious. Everything we needed, 2 pools at the apartments which the kids loved. 1 block from the beach. Just off Macrossan street, so all the cafes and restaurants are within walking distance. We will definitely be back! It was perfect for our needs. 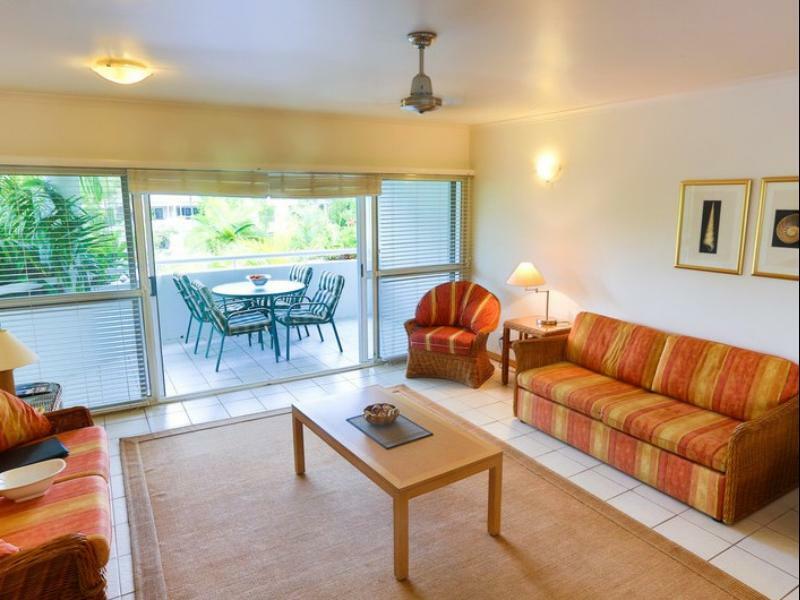 Great value for money - apartments were spacious, pool was lovely, super easy 5min walk to beach or 5 min walk to town. Very nice appartment in central location. Good sized apartment with clean kitchen/ bathroom. Close to the central area and lovely pools. These units were ideal, fully self contained, close to beach & shops/restaurants lovely pool areas, undercover car park. We could hear some noises from unit above but not too distracting. We got our rates on a special offer & it was great value for money, we would definitely stay again. Our stay was very nice, but too short. There is so much to see and do around the area that another couple of days would have been great. 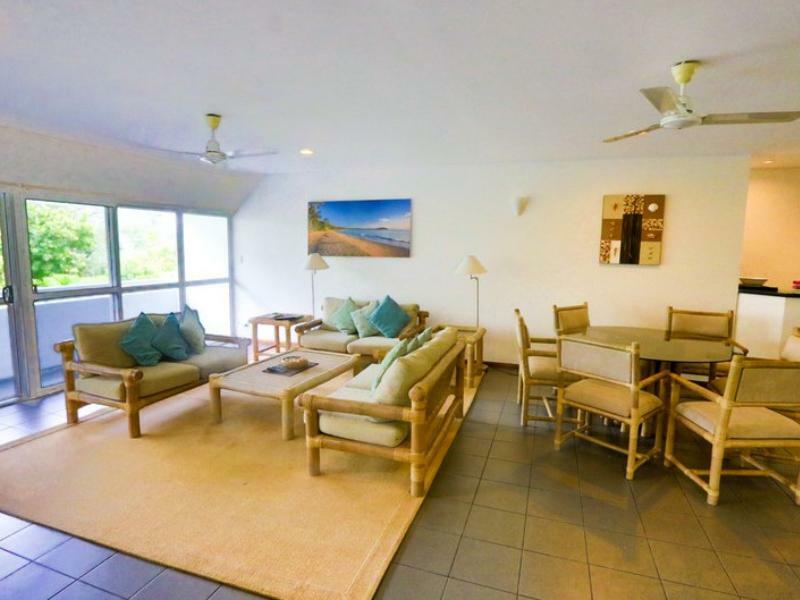 Lovely quiet location close to beach and shops etc. getting bags up 2 flights of steps is a bit of an effort. A bit dated but had some new furniture. 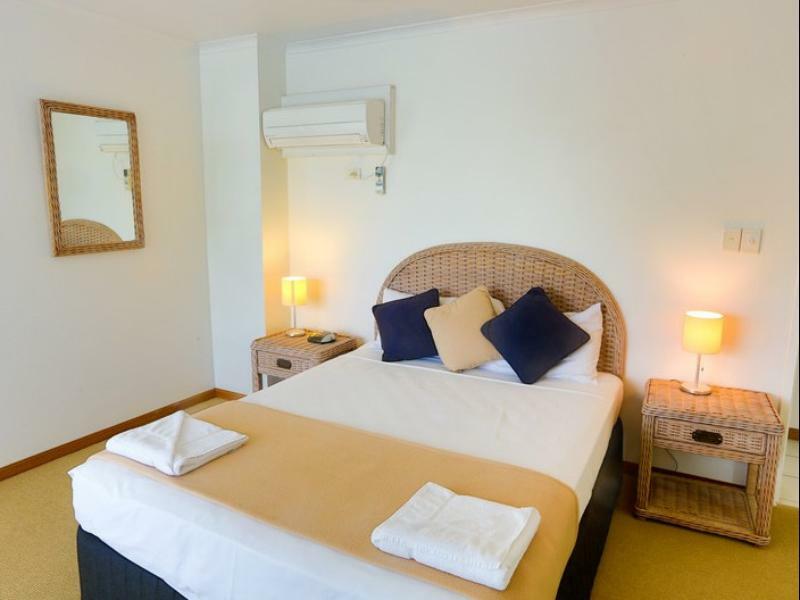 Having toilet, shower, basin and laundry facilities all in one room a bit inconvenient at times. My daughter arrived with nobody to meet her. She had been travelling all day and was very tired. After half an hour I found someone cleaning who came and attended to her. How was she expected to get into her room?. I find this treatment disgraceful and would never stay there again. The phone by reception is useless ,and management very poor. We had an excellent stay in this lovely facility thank you. Hoping to return with our family next year! !